Summer break is almost here for your kids (if it's not already...) and it can be hard to not only keep kids occupied over the summer but also continue to help them learn and working their brains! This summer, I have the perfect solution that both parents and kids will love - Zoobooks magazines for kids! We are loving our subscriptions to their FOUR different magazines! They are great for car rides, family vacations this summer, reading on the beach and continuing the learning this summer for all ages! Is full of amazing photos and illustrations. It's won many awards through the years for its kid-friendly writing and art. Each issue focuses on one animal, helping kids explore the animal's habitat, social habit, and more! Zootles (ages 3-6), just like Zoobooks, but for preschoolers. Full of age-appropriate writing and engaging photos/art. Plus, tons of family activities ideas. Zoobies (ages 0-3) is full of animal fun for little ones! And Zoobies is written and sized right to be shared with infants and toddlers. Zoodinos is brand new! (ages 5+) Dinosaurs come to life in the new title from Zoobooks. Simple, interactive text encourages discussion and active learning. My children read these magazines over and over and loved every page! If you are looking for something to keep your children happy, educated and entertained this summer, get your subscription to Zoobooks today! They have a magazine perfect for every age group! You can purchase a Zoobooks subscription from their website. 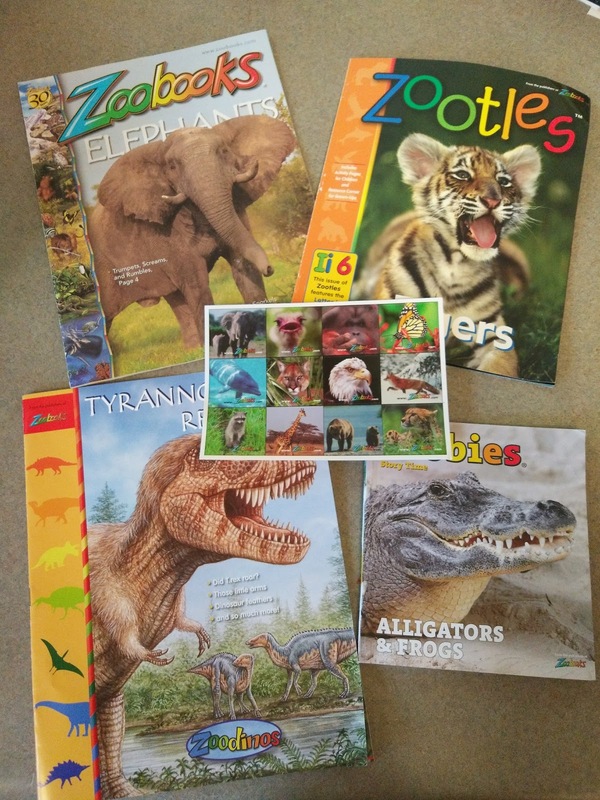 Zoobooks is generously offering (1) subscription of your choice to TWO lucky winners!